Championship golf is found along Northwest Florida's Gulf Coast with designs by distinguished golf architects, including Bob Cupp, Joe Lee, Fred Couples, Rees Jones, Tom Jackson, Tom Fazio, and Jerry Pate, just to name a few. An abundance of courses are conveniently accessed right in the heart of Destin and in nearby communities. 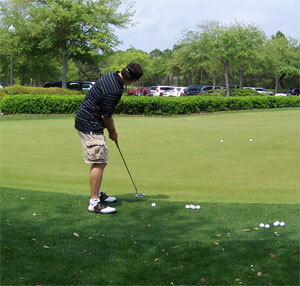 Many area resorts offer golf packages.